Two weeks ago I have shown you a tool I crated called MDT Software Center. 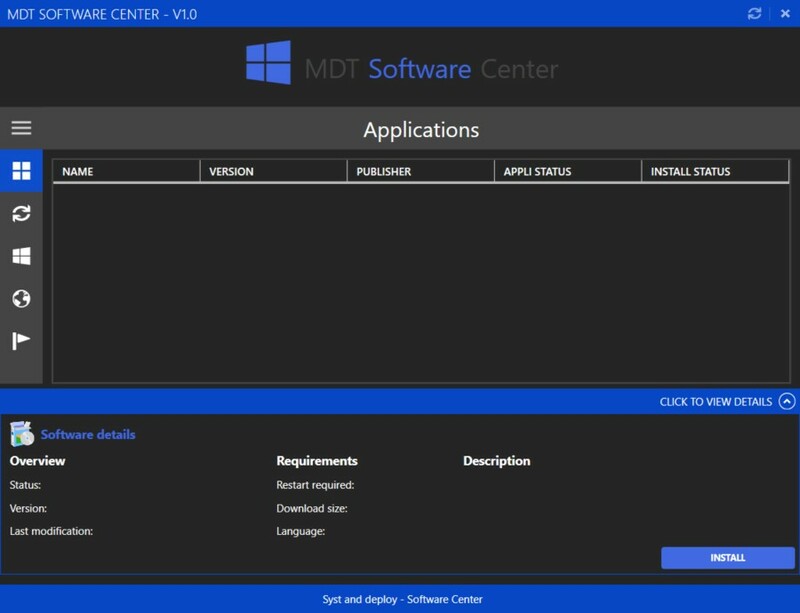 In this post, I will show you a tool that allows you to customize the MDT Software center client in order to change theme, color, icon or logo. The tool is pretty simple to use, see below how it looks like. 1 / Note that two buttons are available. 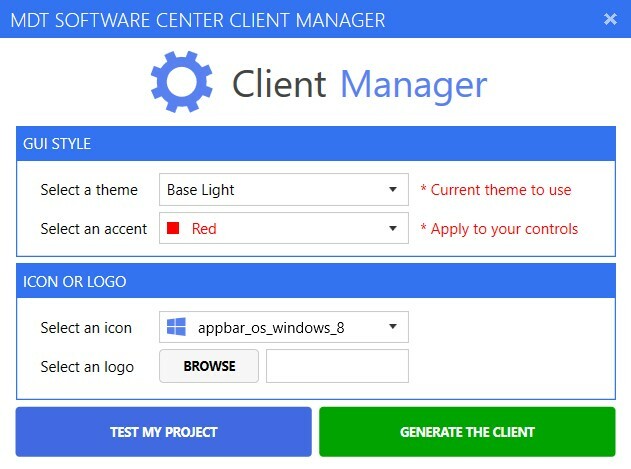 The Test my project button allows you to see how will look like the Software center using the selected options before to generate it. For instance if you have selected a theme Base Light, with Red color and the below icon, you can see directly the results, as below. If you like it you can generate the client using the Generate the client button. If not just select other colors or theme and test again. The Generate the client button allows you to create your Client, it will create a folder My_Client on your desktop. 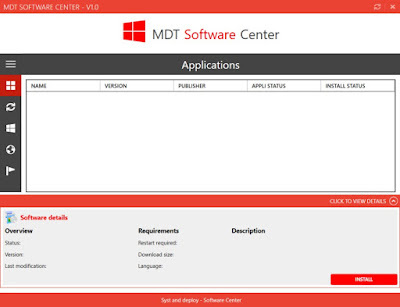 2 / The Select a theme part allows you to change the main theme of the Software Center GUI. Two themes are available: BaseLight and BaseDark. See below an overview of the Software Center with BaseLight and Basedark theme. 3 / The Select an accent part allows you to change the controls color. Several colors are available, see below. 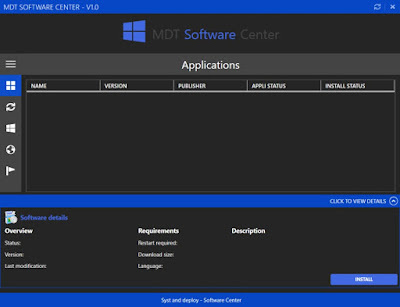 See below an overview of the Software Center with Blue, Red and Indigo colors. 4 / The Select an icon part allows you to change the icon displayed in the GUI. You can also add your own logo using the Select a logo part.